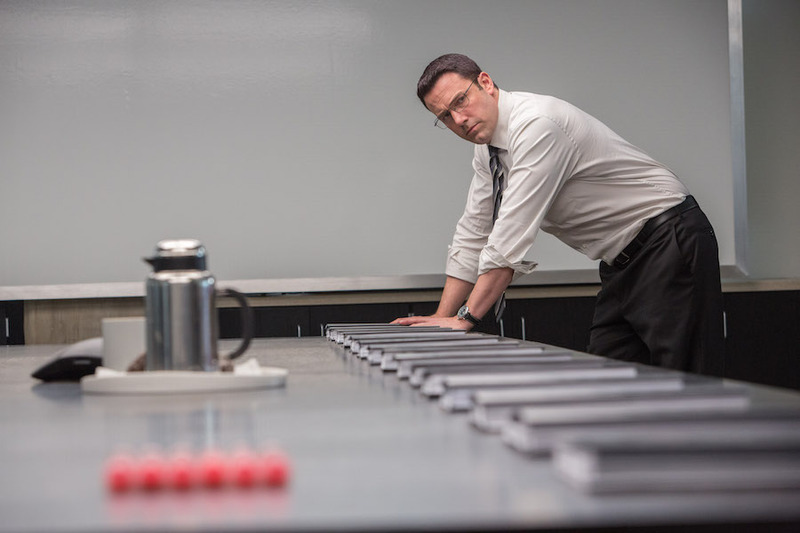 The Accountant follows Christian Wolff (Ben Affleck) a high functioning autistic mathematics savant with an extreme affinity for numbers than people. Using a small-town CPA office as cover he makes a living as a freelance accountant for dangerous criminals as he is often tasked with uncooking books for them. His work gains him notoriety and the attention of Raymond King (J.K. Simmons) an agent who acts as the director of financial crimes for the treasury. He only knows Wolff through his alias “The Accountant” and enlists the help of a young analyst with a shady, Marybeth Medina (Cynthia Addai-Robinson) to identify and arrest the Accountant. With those two hot on his heels, Christian takes on a state- of-the –art robotics company as a legitimate client. As Wolff gets closer to the truth about a discrepancy discovered by their in-house accountant Dana Cummings (Anna Kendrick) that revolves around millions of dollars, a crack team of mercenaries led by a Braxton, hit-man who is simply referred to as “The Assassin” is dispatched to make the two push daises but they are in for a surprise as people will begin to learn that there is more to this introverted accountant. Ben Affleck as Christian Wolff. With an interesting premise that gained momentum thanks to its depiction of autism and a star-studded cast featuring Academy award nominees and winners like Ben Affleck, Anna Kendrick and J.K. Simmons and fan favourite actor Jon Bernthal of The Walking Dead and The Punisher fame; I can’t help but say I was intrigued with this movie. I was excited when I got the word that Gavin O’ Connor whose is known for his directorial work on the Tom Hardy’s cult classic, The Warrior was attached to direct this project. 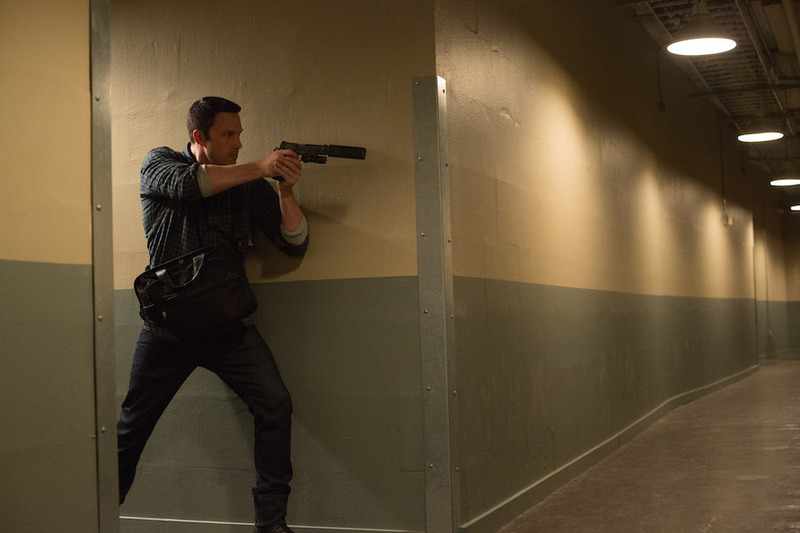 With that said is The Accountant a truly extraordinary romp or is it another by-the-books action thriller? 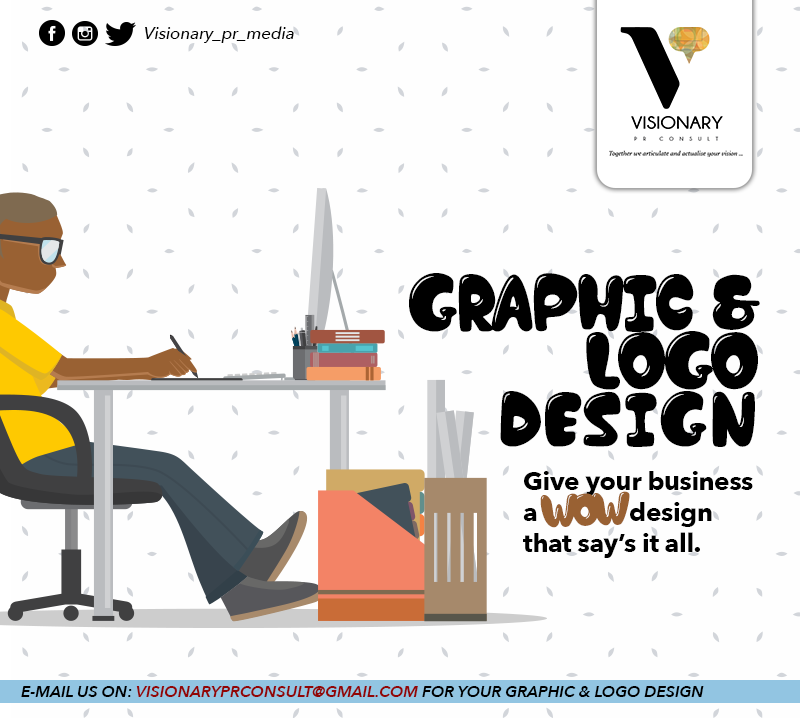 Let us take a look at the positives and negatives. 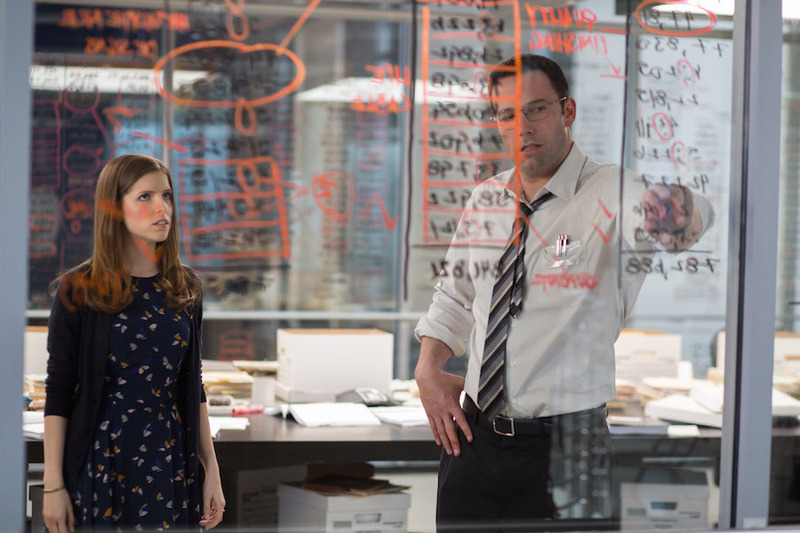 Dana Cummings ( Anna Kendrick) and Christian Wolff ( Ben Affleck) uncooking the books. Lets start with the star of the show Ben Affleck. He provides the audience with one of his best performances to date as he plays Christian Wolff with conviction. He portrays the character as man who is introverted and emotionally distant even though he longs to connect with people but struggles to because of his difficulties. His character is also very layered as he portrays Wolff with two distinct modes. Watching him solve puzzles and solve equations and do accounting work in his accountant mode is genuinely bewitching and endearing, as he is also able to drop a surprising amount of humour thanks to his comedic timing and charm. This is exemplified by his bluntness in conversations, which opens the movie for one, or two laughs especially when he tries to connect with Kendrick’s character. Following on from his performance as Batman, he also gets another opportunity to stretch his action muscles again as the other half of the characters personality transforms him into a cold, calculating killer which is plausible thanks to the movies use of flash backs chronicling Wolff’s childhood where his father instils him with discipline and strength to control his neurological challenges. Another praise I have for his performance is how he respects the autism his character has. He doesn’t glam it up with Hollywood style exaggerations but displays it in quiet and nuanced manner. We also get great performances from the film’s supporting characters. In typical Kendrick fashion, Anna commits to her role as the cheery Dana Cummings who is unfortunately dragged into Wolff’s dark world. I really liked her rapport with Affleck as the odd couple dynamic they shared created some funny interactions and fun moments. Unfortunately the film leaves this particular sub-plot and opts not to fully explore it which I will discuss about more in the cons section. J.K. Simmons as always gives a solid performance as the agent who is chasing Christian Wolff. Jon Bernthal as Brax the assassin who acts as the villain of the piece was also great to watch, I really got a kick out of his cockiness and ruthlessness which really added to the film. The short cameos made by Jeffery Tambor and John lithglow were also decent. The films short action sequences were well choreographed, gritty, brutal and visceral and most importantly were enjoyable to watch. The thing that impressed me the most about it was that it wasn’t put there just to wow the audience but it was a necessary component to progress the plot. This is something a lot of action movies don’t do which as a result means that its story takes a hit. The movie isn’t a typical action fare where the action takes center stage but its characters and story and after a long summer period of mindless action- flicks this was particularly refreshing. There is more to Christian than meets the eye. While I do appreciate the movies slower pace, which is used to establish the characters and scenarios, it takes a little too long for the movie to get to its action sequences. If you are someone who is looking to get his or her fix through numerous action sequences then prepare to be slightly disappointed as the movie favours its drama elements in a bid to be unconventional. While I do like many elements of the films story, it trips due to the numerous sub-plots it has. The film tries to do too much as it has elements of family drama, crime, action and even romantic comedy. This makes the movie feel a little disjointed. The problem with this is that it means certain aspects of the movie that were good don’t get a good pay-off it deserves key example being the growing relationship between Dana and Christian. Some other sub-plots that are not as important get more focus. 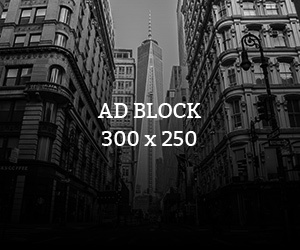 This is particularly evident when the film puts its attention on the two Treasury Department agents that are portrayed by J.K. Simmons and Cynthia Addai-Robinson who are hunting Christian. At times it doesn’t fit well with the structure and it harms the whole experience as their back stories which isn’t necessary is also sandwiched into the story. Luckily it is saved by the fact the two actors provide solid performances. The many genres the film tries to encapsulate also means that the movie loses a bit of consistency in its tone. 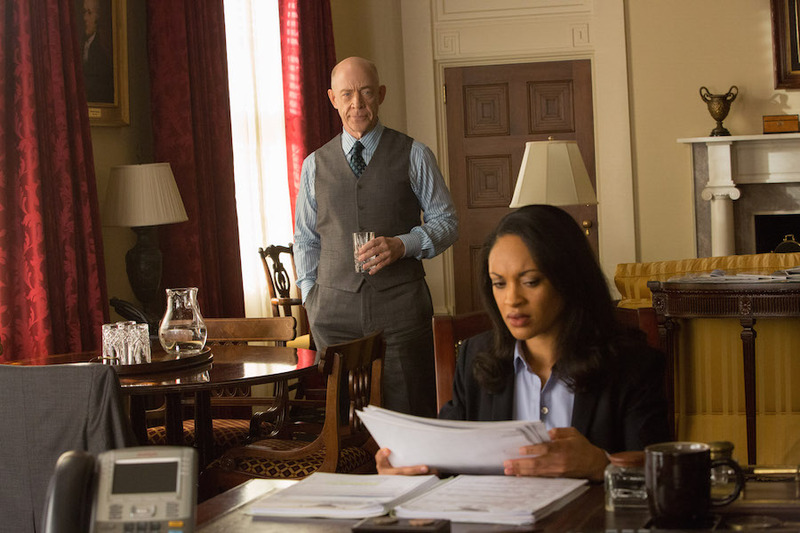 Federal agents Raymond King (J.K. SImmons) & Marybeth Medina (Cynthia Addai-Robinson) are hot on Wolff’s trail. The Accountant is a solid action-drama with a great premise and a genuinely interesting protagonist that is portrayed extremely well by Ben Affleck. The experience though falls a little short of classic status as the movie tries to do too much in its attempt to be an unconventional. This is still worth a watch in the end thanks to its strong cast that carry the movie.